High Frequency Portable Professional Grade Facial Device is the facial tool that uses high frequency – the static electricity to treat different skin conditions. It is also called D’Arsonval and is well known by professional cosmetologists. 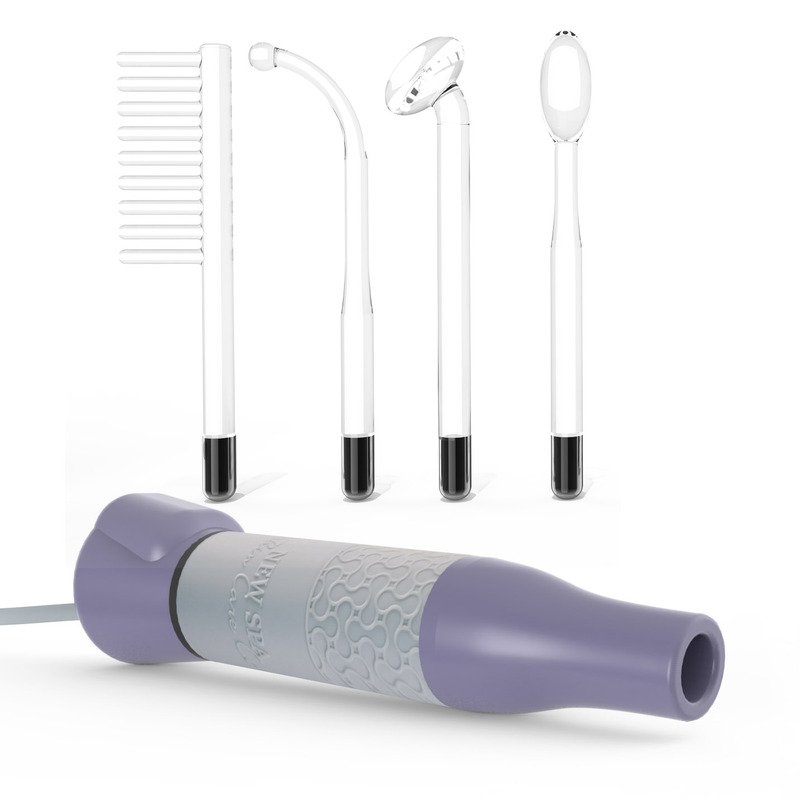 The facial wand is used to hold different kind of high frequency electrodes, filled with gas. High frequency device would be a great tool to use in skin care, hair care with comb attachment, as a massager for different body areas for relaxation. The set includes 10 glass high frequency electrodes filled with two kinds of gas. Neon gas glows orange when ignited with static electricity. Argon gas glows violet. 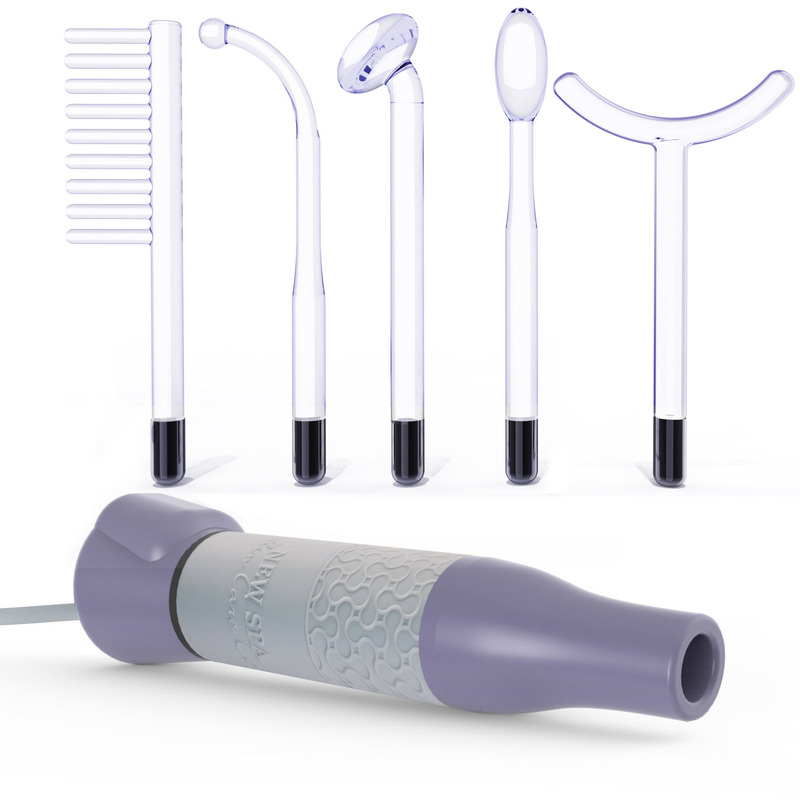 The wide variety of attachments gives all options to treat the skin, hair and body with high frequency facial device.